Eight-member girl group AOA’s rapper Jimin’s upcoming solo album will feature boy band EXO’s singer Xiumin, multiple local reports said Friday. 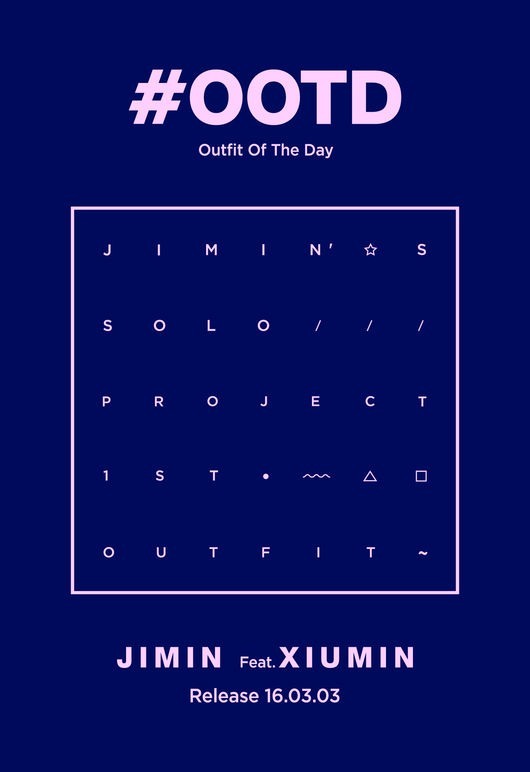 Jimin’s agency FNC Entertainment released on Friday the poster for Jimin and Xiumin’s collaboration in her solo mini album “#OOTD,” or “Outfit of the Day,” poised to be launched on Mar. 3. Jimin has gained recognition as a budding rapper by clinching the semifinals of competition show “Unpretty Rapstar” and releasing solo tracks last year, such as “Puss” featuring rapper Iron, “God” featuring N.Flying’s J.DON, and “Good Start” with 2AM’s vocalist Lim Seulong.